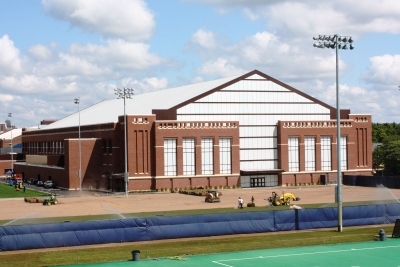 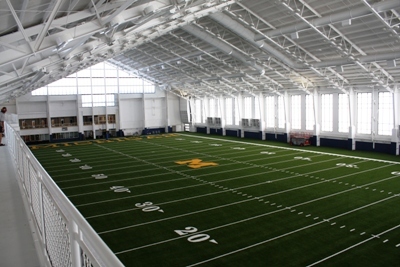 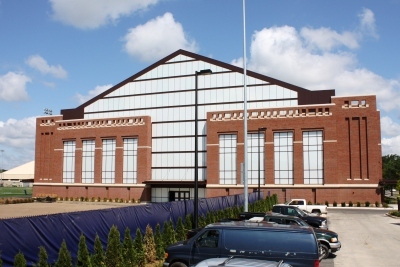 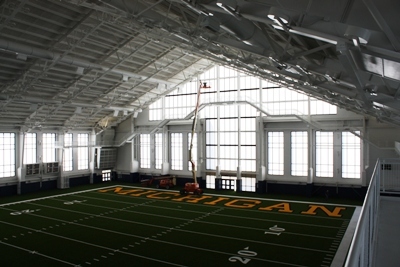 We supplied and erected this new 79,200 square foot pre-engineered indoor practice facility. 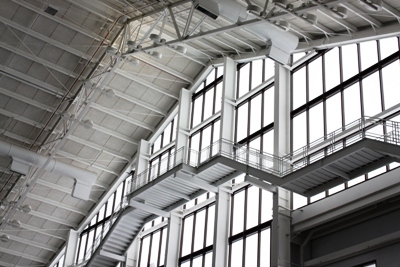 The open web trusses have a clear span of 220 feet and are covered by Tectum brand panels, which provide thermal and sound insulation. 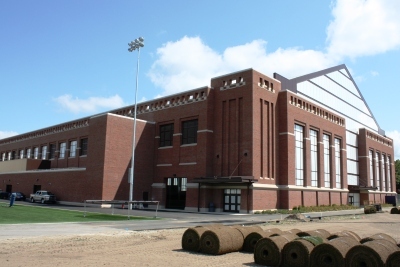 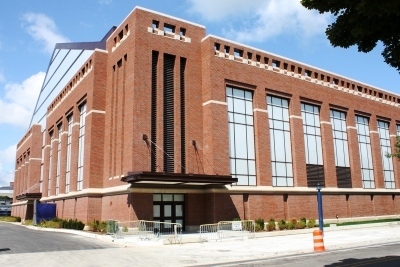 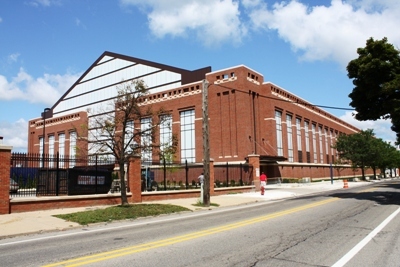 The exterior walls, built by others, are conventionally constructed with brick veneer. 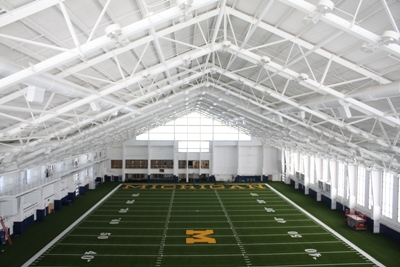 The roof slopes at a 5:12 pitch from 45 feet at the low eave to 88 feet at the peak. 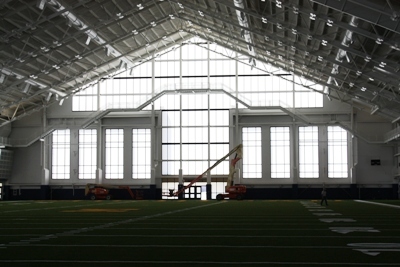 Many catwalk structures are installed throughout to access the upper reaches of the interior space.